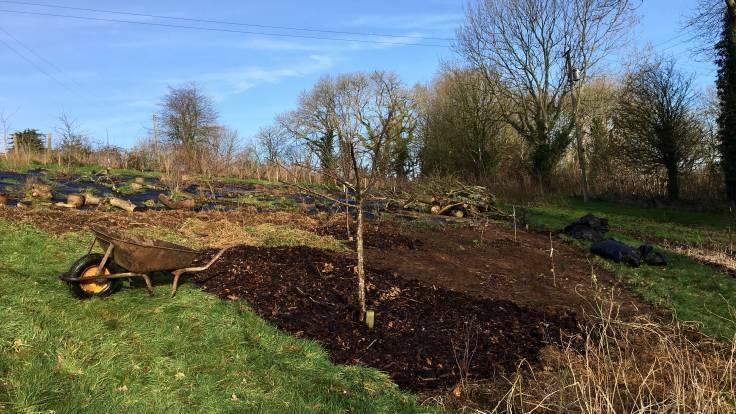 Today I have mostly been mulching in the #ForestGarden. It’s cold, the skin on my knuckles has started to crack. Ow. And I’m scraping up the remains of whatever mulching material I can find to cover the imaginatively named Minty Corner. It’s a corner and it’s planted with horse mint.